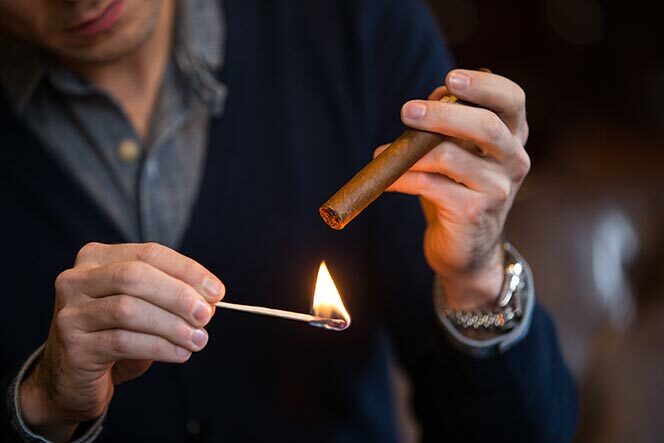 Lighting a cigar is not like lighting the tip of a cigarette or the wick of a candle–it takes longer. 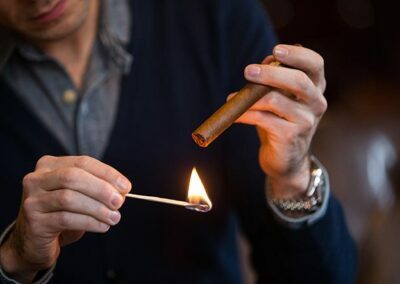 Light your cigar the same way you would toast a marshmallow over a campfire–keep the cigar above and near the flame, but don’t let them touch. 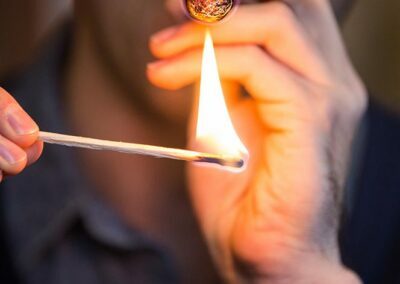 Burning a cigar directly in a flame makes it too hot. And, as with a marshmallow, you’ll want to rotate the cigar so all parts of its tip are equally heated. Be patient, and keep at it until there’s a glowing ring all the way around the cigar’s tip. 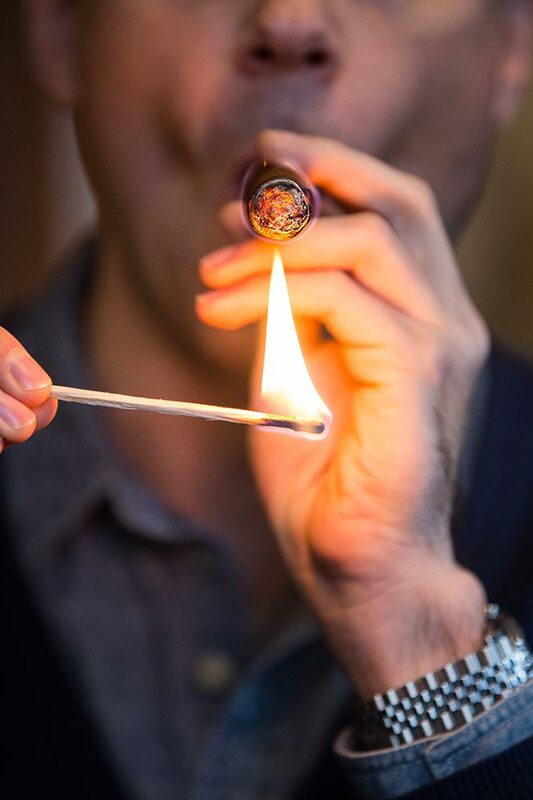 Once the cigar is lit, gently blow on the embers to create a smooth, completely rounded ash.